The deeper you are in the backcountry the more knowledge you need about the area, terrain, and local plants and animals. 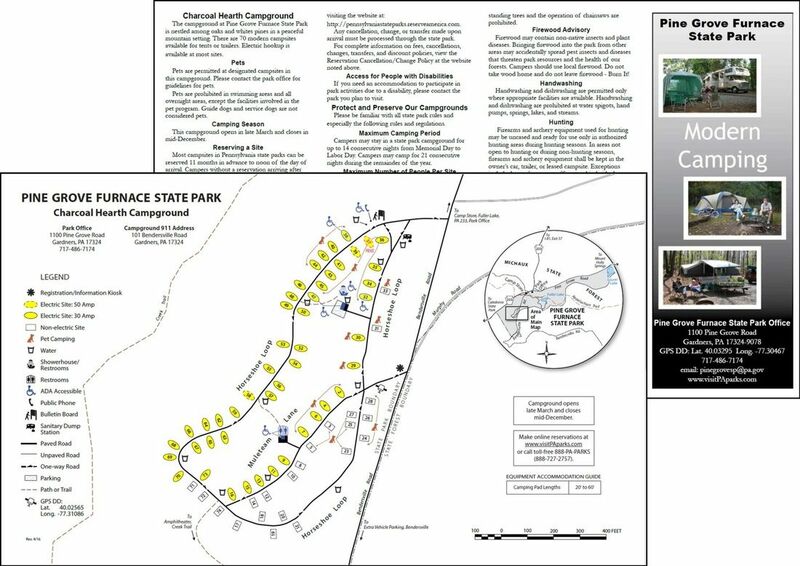 Since we sometimes hike/camp for a couple of days in one local area and then drive to another local area the next level of information that we obtain is hiking/camping information on the entire State or region. That way we can plan ahead and hit a couple of areas that offer different experiences all on the same trip. One great example of this is hiking/camping along the Appalachian Trail. You might not want to commit to the entire 2,200 mile trail, but you might want to hike parts of it in several different states to see the breadth of the Appalachian Mountain range. 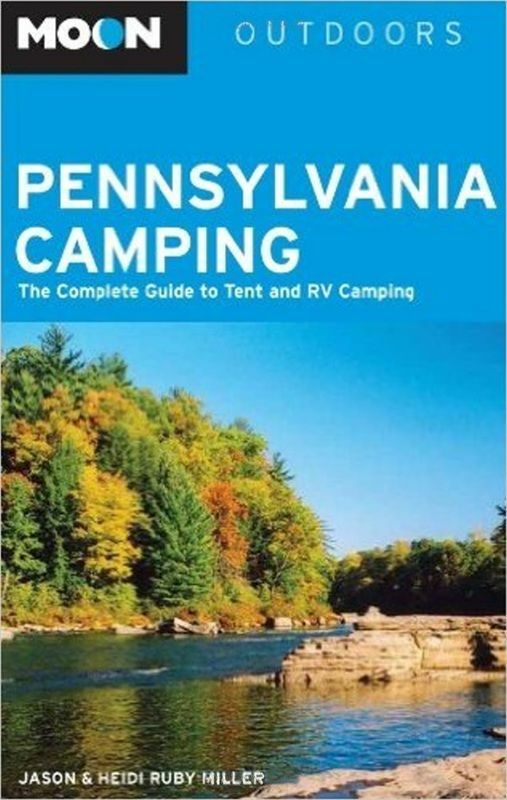 You can buy regional campsite books like this at Amazon. 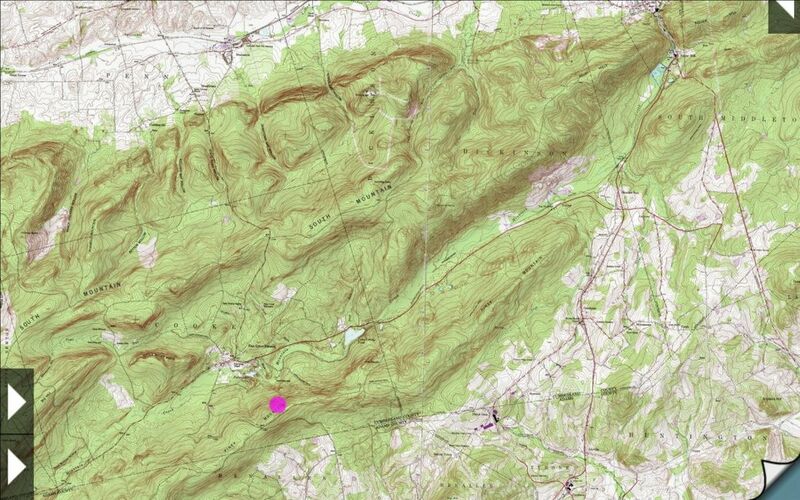 Topo Maps by Phil Endecott. 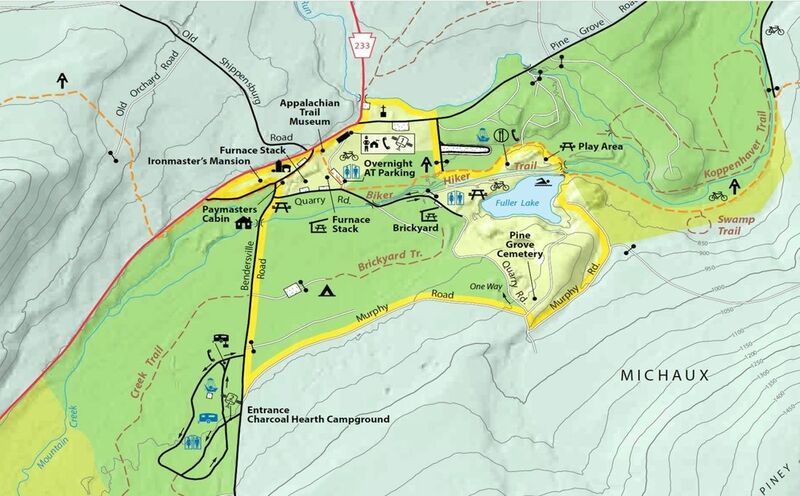 If you choose to hike in several areas, or over a long distance, then in addition to the State/Regional information you will need to obtain State/Regional maps. Since we have ventured to lots of areas our choice for State/Regional level maps is to use an app that has the capability to download the detailed USGS topological maps for whatever location we want to head to. 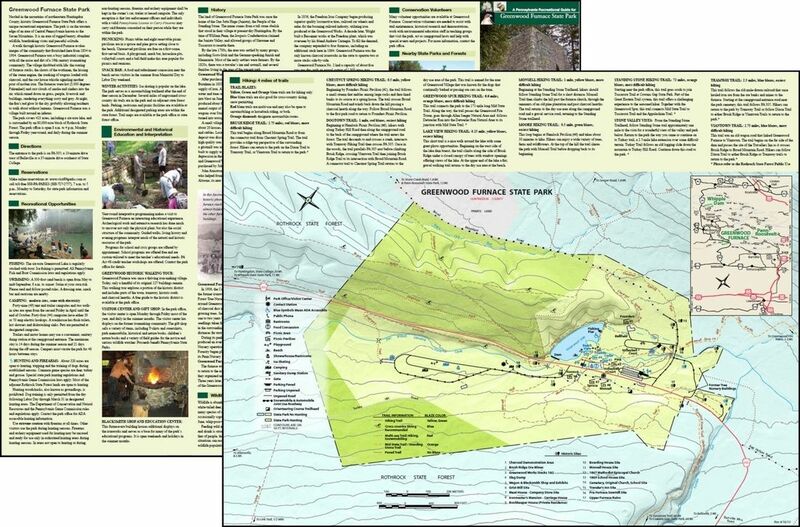 Our preferred offline map app is “Topo Maps” by Phil Endecott. You can get this app at the Apple App Store and similar apps at the Google Play store. In addition to identifying animals we spend time trying to identify birds as we hike and camp. To do this we use two apps. 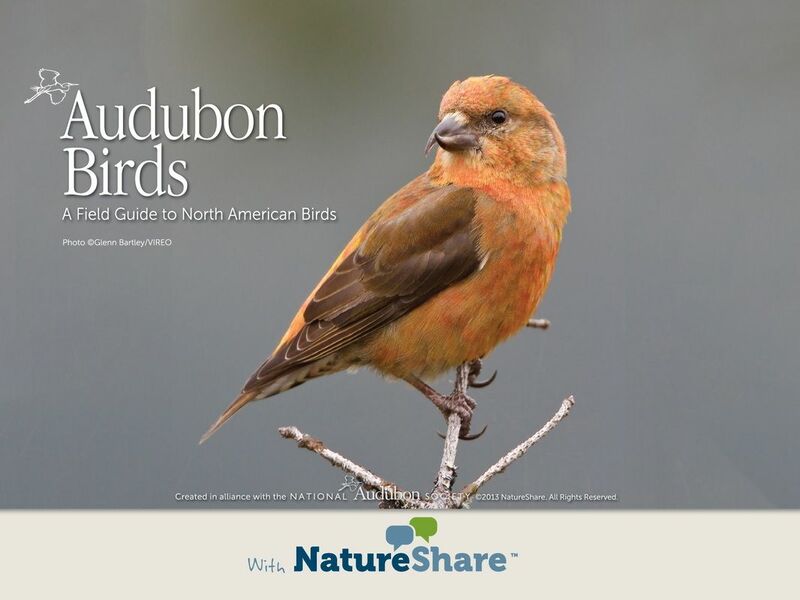 “Audubon Bird Guide: North America” by National Audubon Society (offline) and “Naturetouch Identify 500 Birds” by Coogni GmbH (online). The Audubon app includes 821 species with in-depth descriptions including information on appearance, habitat, behavior and sounds. The app includes over 3,200 images. 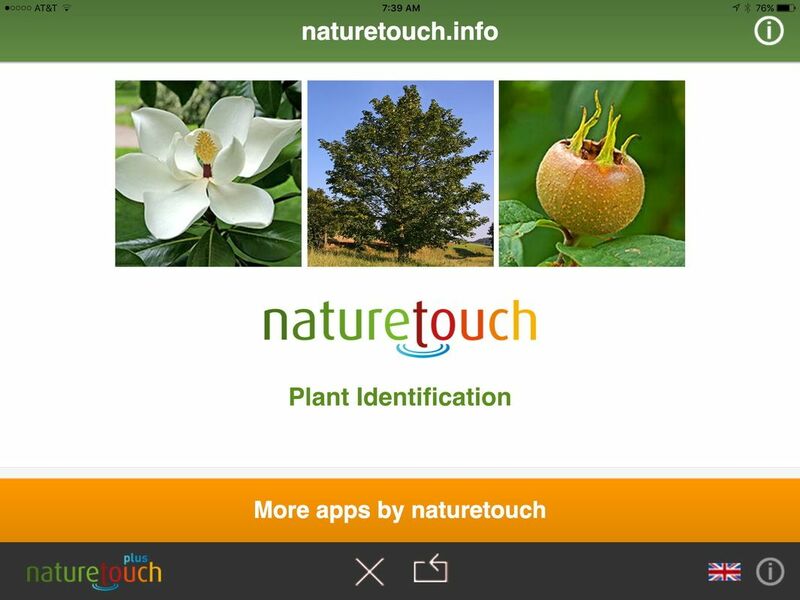 The Naturetouch app takes a totally different approach and allows you to identify 500 birds and 934 plumages in a step by step process that focuses on each individual part of the bird’s appearance (e.g. beak, head, wings, chest, coloration, etc.,). The app will help you identify the formal name of the bird offline – but the goes to Google images to allow you to see other photos of the bird to confirm your identification. We find that even without an online connection we can use this app to help identify a bird that we can then look up in out Audubon app. You can buy these apps at the Apple App Store or Google Play store. 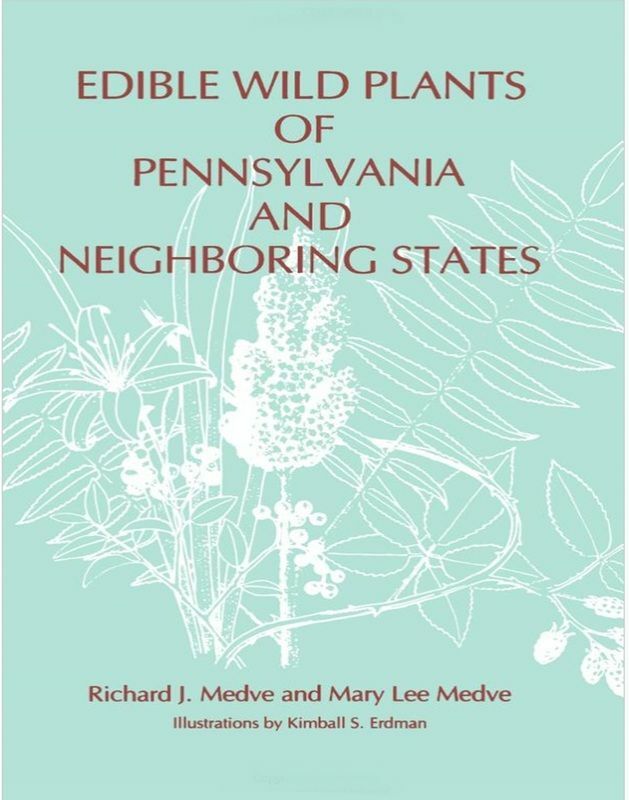 If you want to know about which edible plants in the area that you are hiking and camping in then you need to find a book appropriate to that region. You can buy edible wild food books like this at Amazon. If you are interested in knowing about the medicinal plants in the area that you are hiking and camping in then you need to find a book appropriate to that region. 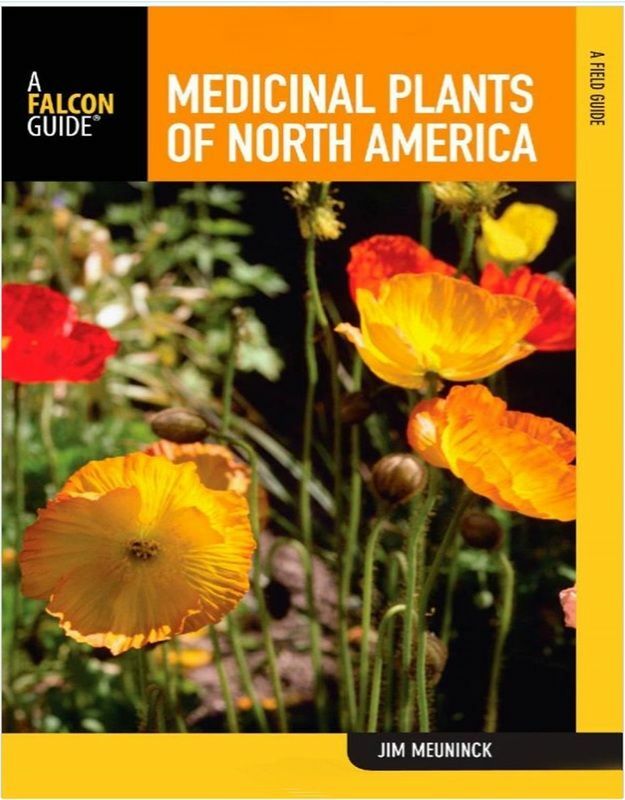 We like “Medicinal Plants of North America: A Field Guide” because this one book covers all of the plants of North America and it splits them out by environmental regions. You can buy this medicinal plants book at Amazon. 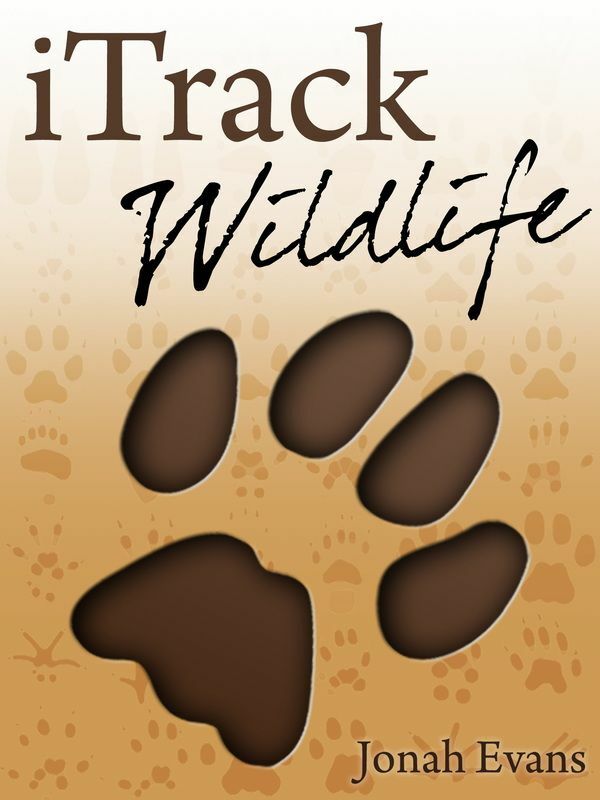 Like most people that spend time in the outdoors we have accumulated a few good books filled with great information over the years. If you ask you friends, or search the internet, for recommendations about which Hiking, Camping or Survival books you should have in your home library I’m sure that you’ll come up with a vast array of references. Actually - probably too many. So how do you separate the good ones from the bad? Over the years we’ve looked at and read a lot of survival/bushcraft books. Unfortunately we’ve found that many of them are so dense with text that it is hard to assimilate and retain the information that they are attempting to impart. So, if you are looking for a great book on survival situations and techniques that has lots of illustrations, “What to Do” decision trees and detailed step-by-step instructions, you should buy this book. In our opinion the book strikes a great balance between the information that you need and showing what it means and how to do it. The book is laid out logically and the illustrations are plentiful and concise. Measuring 7½ x 1 x 10 inches and weighing ~2 pounds this 320 page book the book is probably too big to take in your backpack – but is certainly the right size to put in your car or to study at home before you hit the trails. We really like all the detailed illustrations in this book. They are what set it apart from so many other books on the market. You can buy this book at Amazon (ISBN-13: 978-0756690380). That’s where Les Stroud’s book comes in. This is an outdoor “survival” book – not just a bush craft book - like so many other books on the market. It is specifically focused on the skills and mental attitude that you need to get yourself out of an unexpected survival situation. Consequently, the book is laid out in a very linear fashion - focusing on the order that you should follow to prepare for and to survive an unanticipated emergency situation. 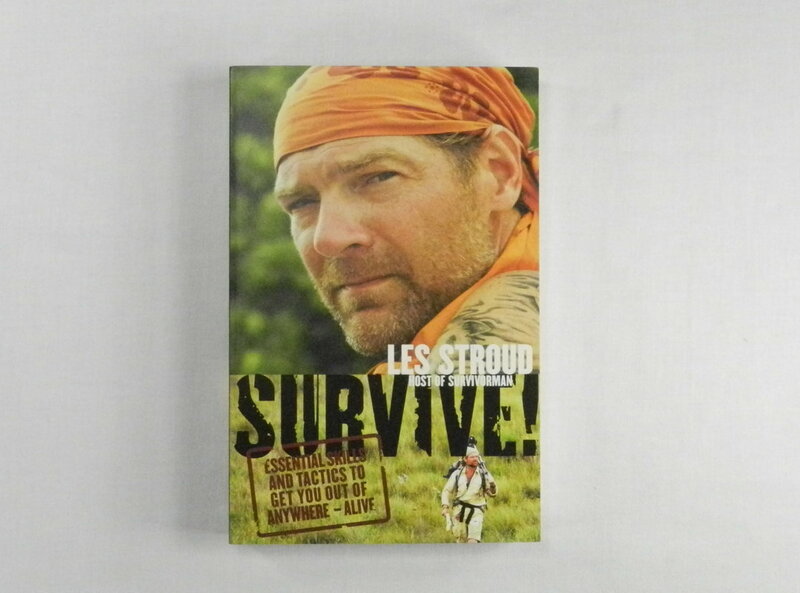 This also leads to the largest difference between Les Stroud’s book and many others – his book is focused on getting out of the back country alive and as quickly as possible – not how to live off the grid in the wilderness as a way of life. Although many of the skills between these two activities are similar (or the same), the end goal of using them (and where/how you expend your energy) is significantly different. If you’ve been reading books on Survival for very long you are sure to have come across John "Lofty" Wiseman's “SAS Survival Handbook, The Ultimate Guide to Surviving Anywhere: Third Edition (William Morrow Paperbacks)”. This book is a favorite of many people. 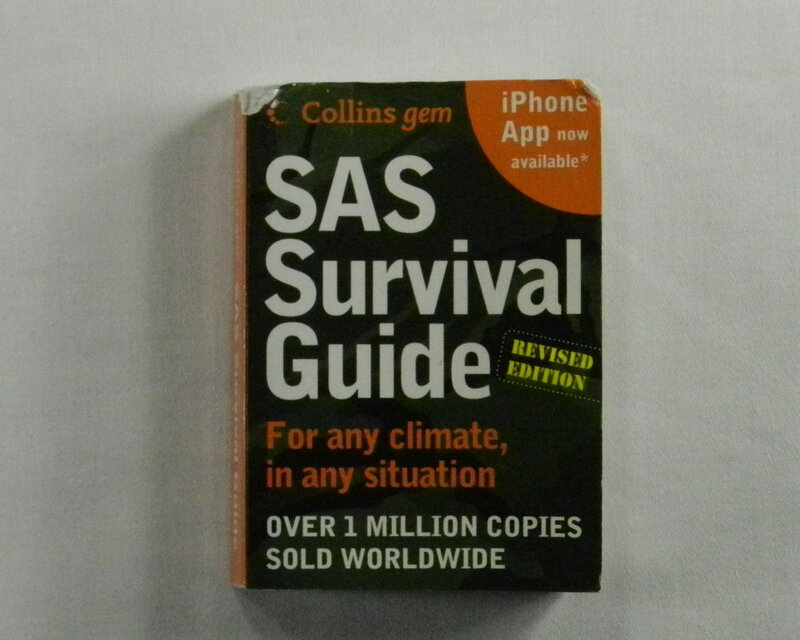 Although we like the “SAS Survival Handbook” we actually have found another book by Wiseman to be a better reference source for our purposes; the “SAS Survival Guide For any climate, for any situation: 2nd Edition (Collins Gem)”. Even though this book is only 384 pages long, we prefer it because it is actually a book that we can take with us into the outback since it measures only 3¼ x 1 x 4 5/8 inches and only weighs 7 ounces. 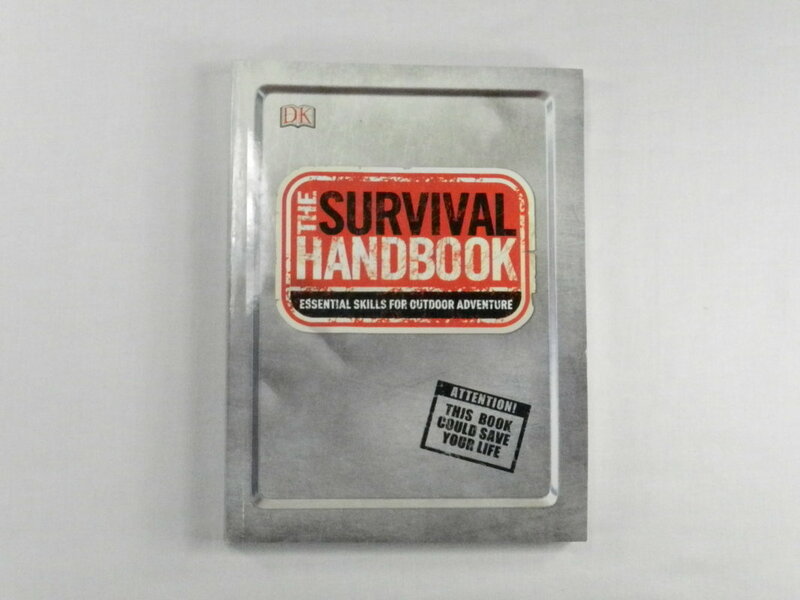 The more common “SAS Survival Handbook” has 672 pages, measures 5¼ x 1 1/8 x 8¼ inches and weighs almost 2 pounds. So, although the smaller “SAS Survival Guide” only has 57% of the number of pages (and a lot smaller print), we have found it more useful since we can carry it with us when we need it. 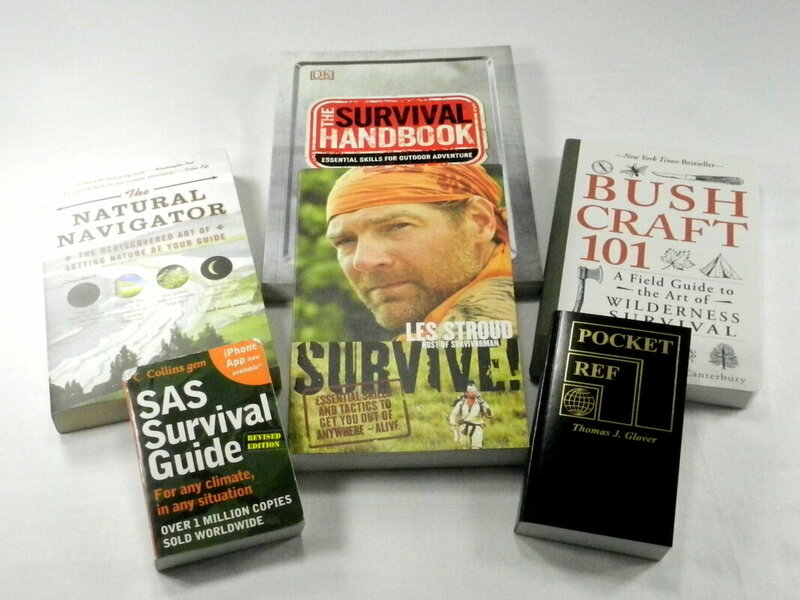 Unfortunately, the pocket sized “SAS Survival Guide“ was last printed in 2010 so it is becoming harder to find – especially at a rational price. Since each book contains information that the other doesn't you might consider buying both – the small one for active use on the trail and the larger one for research at home. You can buy this book (probably used) at Amazon (ISBN-13: 978-0061992865). There is also an electronic version of the “SAS Survival Guide” (by Trellisys.net) available for both iPhone/iPad and Android devices. Most books about survival and outdoor skills don’t become “bestsellers”. 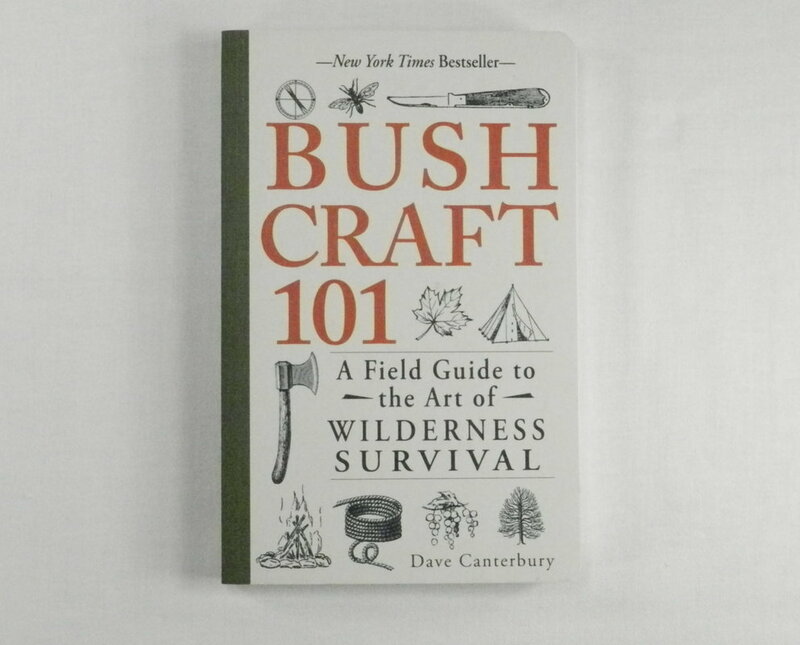 But somehow Bushcraft 101 made it onto the 2014 New York Times list of Best Selling Sports Books. Why was that? In our opinion this book was popular because it’s a good, basic beginner bushcraft/wilderness survival book that can also be enjoyed by an experienced outdoors person because of the author’s credentials, writing style and content. Written by Dave Canterbury, known to many people as one of the original two survivalists on the TV show “Dual Survival,” where he was teamed with Cody Lundin (Dave was the one that wore shoes), the book focuses on Dave’s view of bushcraft; a view that means taking advantage of what nature makes available to you and using a minimum of gear to survive and thrive in the natural world, carrying “the knowledge and skills needed to create items straight from the landscape”. The book also shows how Dave has a “systems” mindset (e.g. never carry anything unless it can perform multiple functions). Dave’s detailed section on Tools is especially helpful for people new to camping. We also like Dave’s “Four Ws” relating to setting up a camp – Wood, Water, Wind and Widowmakers. Having 256 pages, measuring 5½ x ¾ x 8½ inches and weighing ~10 ounces this is probably a book that you learn from but do not take on the trail with you. Although shorter than all of our other recommended books, Bushcraft 101 is not intended to be all encompassing – since it is only intended to cover the “20 percent of bushcraft that is of the most value”. You can buy this book at Amazon (ISBN-13: 978-1440579776). 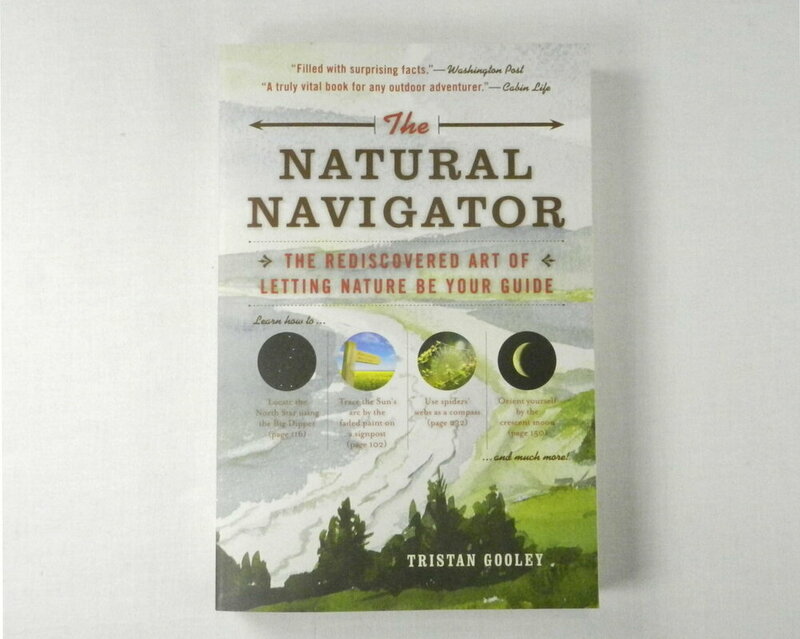 So, to enhance our backwoods navigation skills, we like Tristan Gooley's "The Natural Navigator". The book has lots of great information on how to navigate in the wild, to include tips on how to use the Sun, moon, stars, sea, plants, animals and weather to help you find your way without many of today’s commonplace navigation aids. As the title says, Tristan’s approach is to recapture the method that humans used in the past to navigate using Nature instead of tools. This includes techniques for finding directional clues from uncommon topics like a windswept tree, changing tides, plant growth, the habits of wildlife, the depth of a puddle, clouds, weather patterns, and the more common topics of the sun, moon, stars, and lengthening shadows. The book is also full of navigational anecdotes from around the world – and if nothing else will change how you look at, and examine, the world around you when you are in the outback hiking and camping. This book is published by The Experiment, has 307 pages, measures 8¼ x ¾ x 5½ inches and weighs ~10 ounces. The Natural Navigator is a little different than the other Survival Skill and Reference Books on our list since it is less “survival task” focused and more philosophical in nature due to its approach and writing style. You can buy this book at Amazon (ISBN-13: 978-1615190461). If you’ve ever watched the MythBusters TV show you probably saw them pick up and refer to a small black reference book every once in a while. 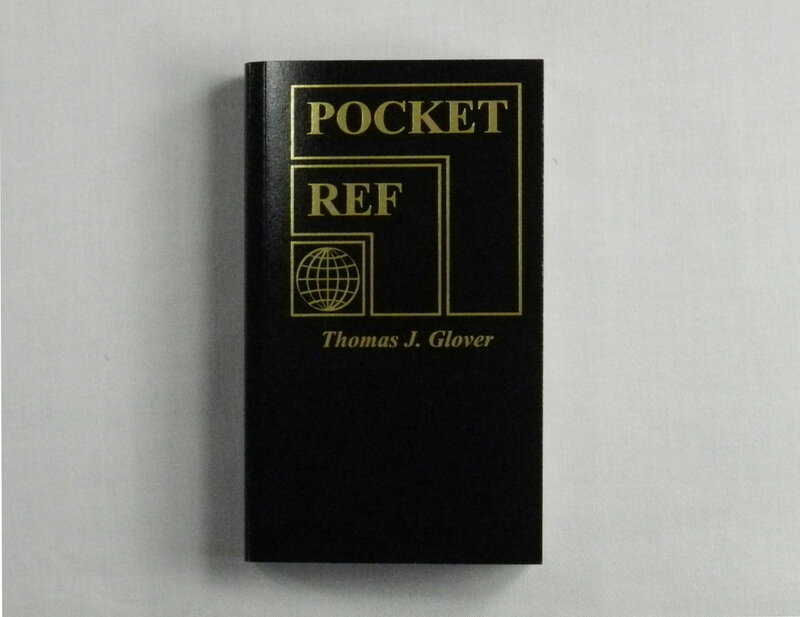 Well this book is the “Pocket Ref”, and it has a wealth of information that can come in handy in all sorts of situations. The book by Sequoia Publishing has 864 pages, measures 3¼ x 1 x 5½ inches and weighs 7 ounces. Although this reference book may seem like an odd book to have for survival, much of the information in the book is invaluable if you need to build or fix something on your own – without an expert to help you. You can buy this book at Amazon (ISBN-13: 978-1885071620). If you want even more reference information there’s a 1,280 pages “DeskRef” too – but measuring 6 x 1 3/8 x 9 inches, and weighing 2 pounds, it’s a little big to take with you in the outback. Buy this book! You won’t regret it!